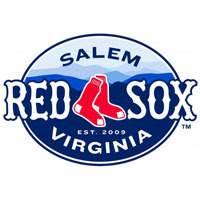 With the Salem Red Sox trailing 4-3 entering the top of the ninth, it looked like yet another painful loss on the way. But after pestering Potomac pitching all evening, the Salem bats prevailed once more in the ninth. Left fielder Brandon Jacobs and designated hitter Carson Blair drew a key hit batsman and walk respectively to lead off the inning. That set the stage for the magic from Garcia. With his team down to its last out, the utility player (who started at shortstop for the first time this season) lined one up the middle for a base hit. The single plated Jacobs and Blair, and was the deciding strike in the back-and-forth affair. After a season-low two hits in their third straight loss the previous night, the Red Sox tallied 10 against the Nationalson Tuesday. The Sox started strong, scoring in both the first and second innings. A Henry Ramos solo homer got the scoring started in the top of the first. Jacobs singled and scored in the second when Blair grounded into a double play with no outs. In the seventh, Garcia came up big yet again. He singled home catcher Blake Swihart (who finished the night 3-for-4 with a double and two singles) to tie the game at three. In the last two games (he started last night at second base), Garcia is 4-for-6 with five RBIs. The Nats rallied for three runs in the bottom of the second, aided by a two-run double from Adrian Sanchez. Besides the second inning, starter Kyle Stroup pitched solidly for the Sox. He earned a no decision in a season-long seven innings of work. Stroup gave up just the three runs (two earned), permitting six hits, one walk, and striking out two. Matt Price tossed two innings of relief for Salem, earning the victory despite surrendering the lead back to Potomac in eighth. Game three of the four-game series between Salem and Potomac will take place Wednesday at 7:05 p.m. Mike McCarthy (3-2, 4.04) will start for the Red Sox, against Taylor Hill (4-2, 3.33) for the Nationals.